Last Fall, Brian and I were on a kick of fixing up and riding our bikes. We weren't the most expert or daring, but it was a good time on our weekend rides. With about 2 months of training under our belt, we decided to go on a weekend bike trip on the C&O Canal Trail. This trail runs parallel to the Potomac River and was originally to support transport of goods along the canal, back in ye olde days. Now it is maintained as a bike and walking path. It's almost entirely flat and level, with only a few elevation changes when you cross the former Locks of the canal. We took 3 days to do 120 miles, which was leasurely by almost all serious biking standards, but it was our first one of these, so we were tempered in our advertureness. Brian & I started Saturday in Washington, MD and picked up the trail about 1/4 miles from our hotel. We did about 48 miles the first day and made it to Harper's Ferry. Darren teamed up with us early the next morning to finish the last two legs. We of course didn't even make it back across the bridge to the trail before we had to stop to fix his bike. That was the first of about 30 chain mends along the way. We finished up in Georgetown in Wash, DC on Sunday. The last leg was riding across the Key bridge to Roosevelt park in VA. It was great having the open trail and everything you had to worry about on the bike. 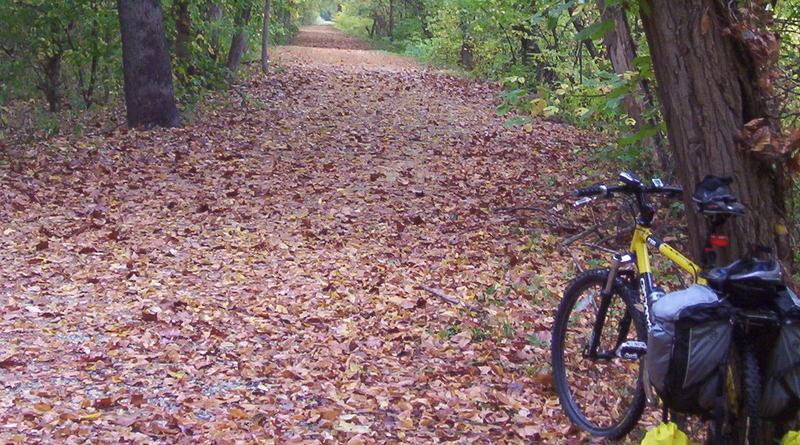 We plan to take on the next leg of the trail, which joins with the Allegheny Passage trail that heads to Pittsburgh. This time, I'm trying to convince them we can do 150 miles.